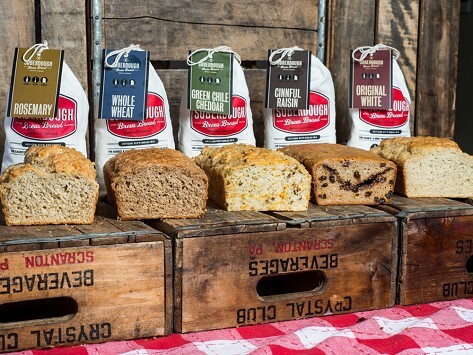 Artisan bread mixes make it easy to create delicious bread imbued with the unique flavors of your favorite beer. Prepare in 5 minutes, bake for less than an hour, and enjoy! Dimensions of bag: 6" x 10" x 1"
Jordan Mychal has always been interested in business and since his entrepreneurial mom Veronica believes in learning by doing she offered to help Jordan Mychal start a company. 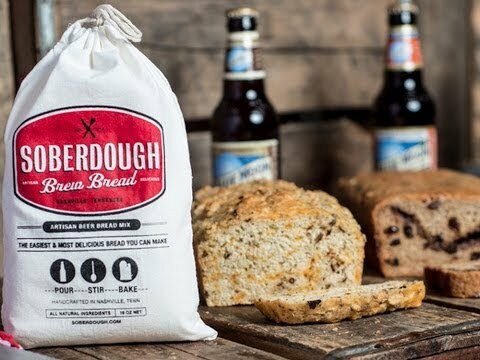 Combining Jordan Mychal’s taste for craft beer and Veronica’s passion for cooking, they came up with the idea for SoberDough. True to form, Jordan Mychal enjoys mixing SoberDough with different types of beer to vary the flavor while Veronica suggests adding your own ingredients like sundried tomatoes, olives, or pepperoni. Other bubbly drinks such as non-alcoholic beer, carbonated water, club soda, or sparkling cider can also be substitued. Any way you slice it, SoberDough is easy to bake and sure to please.